125,000 households in England can benefit from the Boiler Scrappage Scheme. The purpose of the scheme is to help with the cost of replacing boilers that have a G rating or worse. A G-rated gas boiler is likely to be at least 15 years old. It will also have a permanent pilot light. A G-rated oil-fired boiler will probably be older than 25 years. The government runs a boiler efficiency database where it’s possible to check on a boiler’s rating. Simply look for the boiler’s make and model. The Boiler Scrappage Scheme replaces a G-rated boiler with an A-rated one. A-rated boilers have efficiency rates of 90% or higher. They use less fuel than G-rated boilers and therefore cost less to run. They also emit less CO2. The financial benefit to householders is cheaper fuel bills. The government estimates an average saving per year of £235. The benefit to the environment, once all 125,000 households take advantage of the scheme, is an annual nationwide drop in CO2 emissions of about 140,000 tonnes. The Boiler Scrappage Scheme applies to England. The devolved governments of Northern Ireland, Scotland and Wales must take separate decisions on whether to have a similar scheme. Householders and landlords who rent or own private homes are eligible to apply. Householders and private tenants aged up to 59 must have a G-rated boiler that works and is the main boiler for the home. Householders and private tenants aged 60 and over don’t need to have a boiler that currently works. The boiler, however, must still be the main one for the home. The scheme has already begun. But before registering, it’s important to get a quote for a new boiler. The best advice is to shop around for a reasonable price. The new boiler must have an A rating. It can be a boiler for gas, LPG or oil. It can also have a heat pump, a Micro CHP unit, a biomass unit or a Passive Flue Heat Recovery system. A-rated boilers with Solar Thermal devices are also eligible. The installer of a gas boiler must have Gas Safe accreditation. 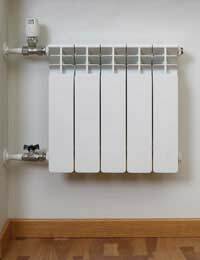 Installers of other types of boiler must be members of suitable schemes. These include HETAS, OFTEC and the Microgeneration Certification Scheme. After getting a suitable quote for a new boiler, the next step is to ring 0800 512012. An applicant must give his or her name; address; the type of new boiler; the details of the installer; and the make and model of the old boiler. An alternative is to register online with the Energy Saving Trust. Once an applicant has registered for the Boiler Scrappage Scheme, a £400 voucher arrives by post around ten days later. The voucher is valid for 12 weeks. An applicant must not arrange for the installation of the new boiler before the voucher arrives. It’s necessary to pay for the new boiler and its installation in full. An applicant must then send the voucher and the invoice to the Energy Saving Trust. The Trust will forward £400 within 25 working days.